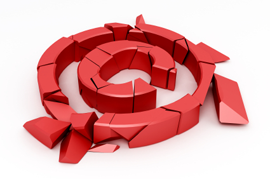 You are here: Home / Book Excerpt / Are You Breaking Image Copyright Laws on Your Website? When it comes to choosing images (photos, art and more) to use on your website and in your content, the most important word to remember is, “Copyright”. You see, the fact that an image has been posted online does not mean that everyone is free to use it for his or her own purposes. To avoid any legal problems (ranging from a request to remove the image to a lawsuit), it's best to adhere to the rules. To avoid any legal problems (ranging from a request to remove the image to a lawsuit), it’s best to adhere to the rules. Royalty free stock image licenses. I’ll also show you all the details on three ways to discover legal images online to use in your own content. Let’s get started! Many online images are protected by Creative Commons licenses and how you can use those images in your own content is driven by the public permissions the creator selected when they licensed their image. The best way to learn more about the copyright options covered by the Creative Commons’ licenses is to visit the license selection page (shown in Image 1) and play around (make sure to click on all the question marks on the form to view pop-ups with some very useful information (sometimes you have to roll your cursor over a section to make the question mark appear)). Individuals to use an image as long as they include an attribution back to the original image. An attribution (a short line of text that’s typically preceded by the phrase, “Image Credit:” and appears either under an image or at the end of the content in which an image is used) can include the creator’s name, the image’s name, a link to the image and more. Businesses to use an image as long as they include an attribution back to the original image. Individuals and businesses to modify an image or include an image in an image of their own. The copyright jurisdiction (country, international, etc.). Where Can You Find Creative Commons Licensed Images to Use in Your Content? To begin finding Creative Commons images to use on Google, begin with an image search as shown in Image 2. For this example, I’m searching for a photo to use for a post on blogging, so I’ll use that as my search term. Once you’re on the search results page, select the “Advanced search” option under the little gear at the top right (also shown in Image 2). Image 2: Start with an image search on Google and then select “Advanced search”. Next, scroll down Google’s advanced search page until you find the “usage rights” section as shown in Image 3. Make sure to select one of the two options that include, “even commercially” since you will be using this for business purposes. Even if you are not receiving compensation for reselling the image, the definition of “commercial” can be broad so it’s best to use images with a commercial license just to be safe. Cropping or changing the size of an image will not likely be considered a “modification”, so feel free to choose either commercial-type license. In the end, you may want to try two separate advanced searches using each commercial-type license alternatively to find different images to use. Image 3: Use Google’s advanced search to find images with the right license. As you can see in Image 4, after you use Google’s advanced search, the license type is added as a handy drop-down on the search results page. Use this feature if you want to change the type of image license for which you are searching. Now that Google has pulled up a bunch of images with the correct license, you can scan through the results and download images (using a right-mouse click and selecting, “Save image as…”) to use within your content. Don’t forget to add the attribution (the image credit) either under the photo or at the end of the article – left-click on the image you want to use and grab the creator’s name and the link to the original image when you get to the image’s site. Image 4: Google adds a handy license drop-down after you use advanced search. As long as you pay attention to the licensing, you can find a ton of great images to use online at Flickr. Flickr (pronounced, “flicker”) is a huge photo-sharing site that’s been around for years. As long as you pay attention to the licensing, you can find a ton of great images to use within your content here. To start searching for usable images on Flickr, begin with an image search using the search box at the upper-right corner of the site (as shown in Image 5). 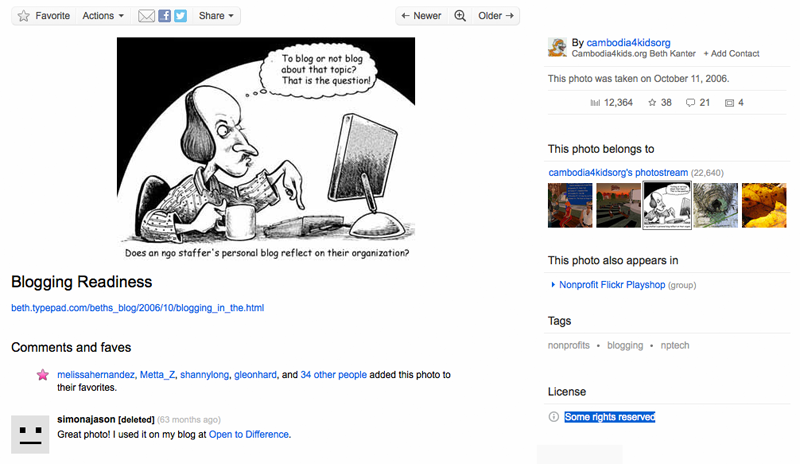 Once again, in this example I’m searching for a photo to use for a post on blogging, so I use that as my search term. 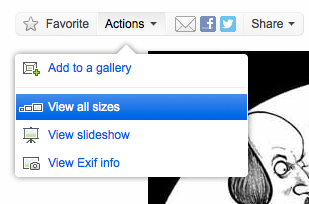 Image 5: Flickr’s search box. Once you’re on the search results page, click on the “Advanced Search” link as shown in image 6. Image 6: The “Advanced Search” link on Flickr’s search results page. Scroll down the Advanced Search page until you find the “Creative Commons” section (shown in image 7). Make sure to select the first two checkboxes as shown. Image 7: Flickr’s Creative Commons advanced search options. Again, cropping or changing the size of an image will not likely be considered a “modification” so whether you select the third checkbox is up to you. In the end, you may want to try an advanced search both ways (i.e. the third checkbox on or off) to find different images to use. Once you find an image you would like to use, click on it to be taken to the image details page (shown in Image 8). Image 8: An image detail page on Flickr. License information link is in the right column. On this page, you can find a link to the image’s license information in the right column (also shown in Image 8). You should not have to click on this link as you already confirmed (through your search settings) that you can use this image however, this is a handy resource to use if you’ve come to a Flickr image detail page in a way other than advanced search (e.g. you’re just browsing through Flickr or you were sent to a Flickr image detail page directly via a Google image search). 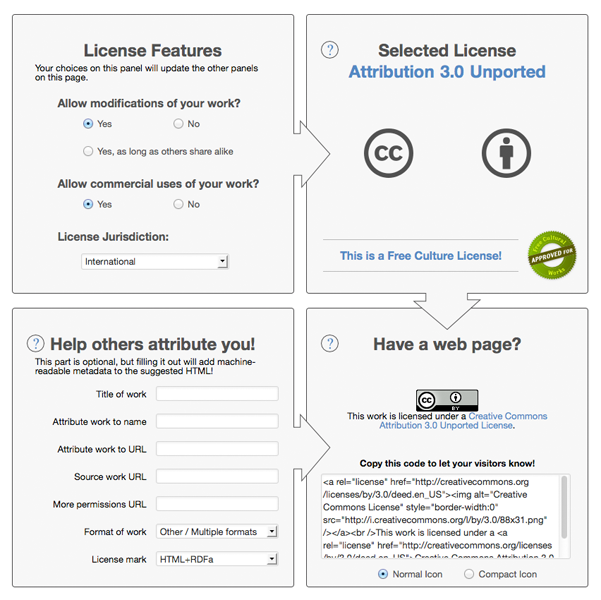 This link will help you learn what the license on a particular image allows by taking you to the Creative Commons license details page for that image (as shown in image 9). 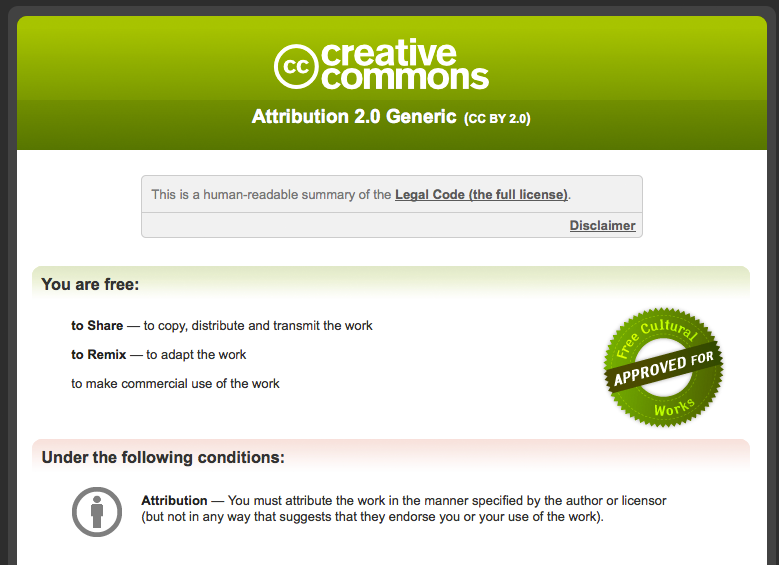 Image 9: An example of Flickr’s Creative Commons license details page. Lastly, in order to use the image within your own content, you should click on the “Share” link above the image on the image details page (see image 10). 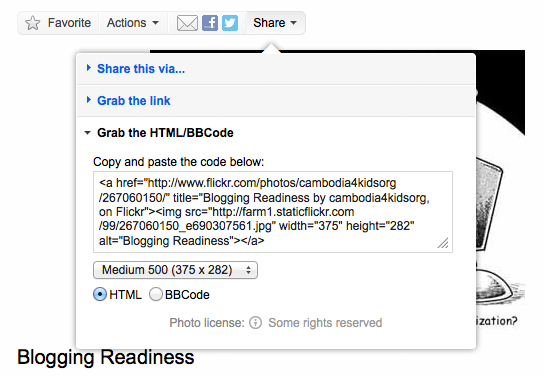 In the dropdown box that appears, click on “Grab the HTML/BB Code” section title. Image 10: Image code and attribution information for a Flickr image. The attribution information (i.e. photo credit) – you can find the text to use for the photo credit within the “title” tag and the link to the photo page within the “href” attribute. 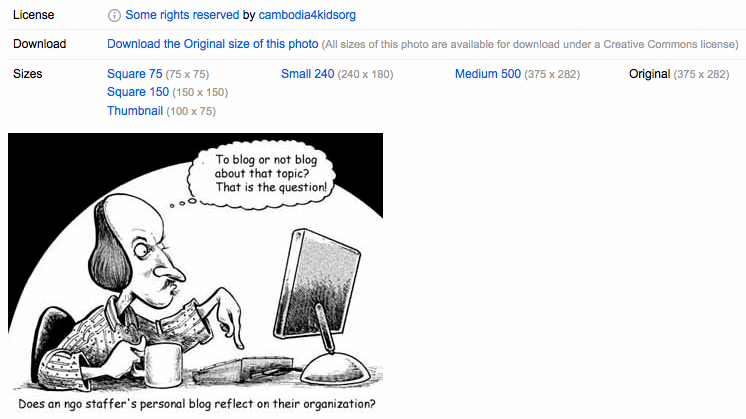 For example, using the information found in Image 10, the attribution text should be, “Blogging Readiness by cambodia4kidsorg, on Flickr” and some or all of the attribution text (I would just use the word, “Flickr”) should link to, “http://www.flickr.com/photos/cambodia4kidsorg/267060150/”. The code to use if you’re using the image online - if you’re using the image online (i.e. not within a PDF document, presentation or video), you can simply copy the code and paste it into your own content. Don’t forget to add the attribution either under the image or at the end of the page on which the image appears. In this case, you will need to download the image. To do so, click on the “Actions” link above the image on the image details page (see image 11) and select, “View all sizes” to open the “View all sizes” page (see image 12). On that page, click on the image size you want and then download the image (right-mouse click on the image and select, “Save image as…”). Image 11: The link to the “View all sizes” page. Image 12: The “View all sizes” page – download the image in the size you need. What is a Royalty Free Stock Image? Another great source of images to use within your content are royalty free stock images. These images are often very affordable and offered on many sites that have large and well-varied collections. Royalty free stock images are often sold under two different licenses types: standard and extended. For an example of the differences between these two types, see image 13. Some royalty free stock image sites even allow you to purchase exclusive licenses, meaning that the image is removed from all listings and is yours to use as you wish. As you might imagine, there are price differences between each type of license with standard being the least expensive and exclusive costing the most. 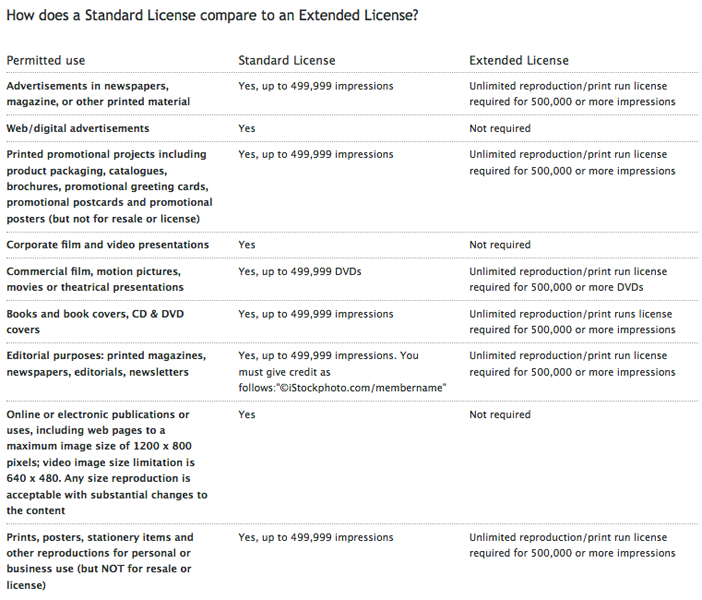 In most cases, a standard license is just fine for any images you want to use within your own online content. Royalty free stock image licenses typically include restrictions as well. For an example of these, see image 14. These restrictions govern how you can and cannot use an image. Where Can You Find Royalty Free Stock Images to Use in Your Content? As I mentioned earlier, royalty free stock images are offered on many sites that have large and well-varied collections..
Aside from photos, many of these sites also offer vector images (which can be modified to any size without distortion), illustrations, videos and audio files. iStockphoto – As you may have noticed from the links under the images above, I am a big fan of iStockphoto. They have a huge collection that continues to grow and, even though unknown folks created many of the images, most of them are top-notch and ready for professional use. These images will make your business shine! Dreamstime – this was the first royalty free stock photo image site I ever used and they continue to be an excellent source of images to use within your content. You’re not limited to my favorites of course – head on over to Google and search for, “royalty free stock images” to discover what’s available.  This was just a tiny appetizer from chapter 8 (“Creating Your Own Content – Images”) of my forthcoming book “1,000+ Online Content Ideas for Your Business” . 4 Truths About Content Marketing Agencies: Insightful points about separating the real content marketers from those who well, are not so real. 4 Truths About Content Marketing Clients: Another insightful post about content marketing agencies – this time from the other point of view. The Marketers Guide to Pinterest – Infographic: A well-done infographic chock full of both facts and tips. Don’t Let Your Content Marketing Hit A Wall: Great post on how to do content marketing right including a couple of real-life examples, too! Earth Day: 7 Step Plan to Reuse Your Content Marketing: Seven actionable and very useful tips for getting the most value out of every piece of content you create. Content marketing metrics: techniques and examples to measure ROI: Very detailed post on how to measure the results of your content marketing efforts. 4 Writing Resources for Content Marketers: Creating content is the most challenging part of content marketing. These resources will help make that process easier. 10 Steps To Content Marketing Success: Solid (though high-level) step-by-step content marketing plan all wrapped-up in one handy infographic. What Does Google Really Want from Content Marketers? 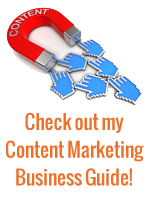 : Some insightful tidbits on how to use content marketing to raise your Google search engine rank. Sentences Uttered at the Content Marketing Conference that I Can’t Unhear. (But I’ll Try): Loved this post full of responses to comments about content marketing. Find out if you’re breaking image copyright laws on your website and take a detailed look at three ways to discover legal images online to use in your own content….